Share the joys of diving with your family at Le Mauricia, a Beachcomber hotel situated in the heart of the seaside village of Grand Baie, with a dedicated centre offering tailor-made experiences to this category of guests. Recently named Indian Ocean’s Leading Dive Destination at the World Travel Awards for the fifth consecutive year, the warm, crystal clear waters around Mauritius are an invitation to enjoy the most unforgettable underwater adventures. The myriad activities available for all ages also guarantee a fantastic family holiday for divers and non-divers alike! Family diving holidays are a specialty at Le Mauricia. The hotel’s diving centre welcomes enthusiasts of all levels from 10 years and above, with specially adapted equipment suitable for children. The diving spots are selected to ensure a delightful experience for all. 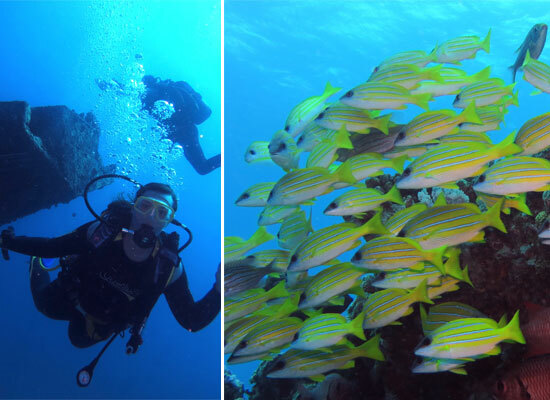 A diving holiday at Le Mauricia is the opportunity to discover the rich underwater biodiversity of the island, from shoals of colourful fish to beautiful coral gardens, as well as reefs, drop-offs and shipwrecks, with a large choice of sites. The tours are carried out in small groups of six to 10 people to ensure quality service and preserve the feeling of exclusivity. Additionally, the hotel is within close distance from some amazing diving spots and each tour takes only about two hours, including the trip to and from the spots. This allows ample time for guests to enjoy quality moments with their family after a session. Le Mauricia has something also for those who are not necessarily fond of diving. The Kids Club offers lots of adventure and discovery for children, while the grown-ups can indulge in some pampering at the spa while the diving aficionados don their equipment to immerse themselves into their passion.